Breathing More Freely at Pearl Therapeutics Inc.
Engineering extension specialists at NC State University Industry Expansion Solutions (IES) helped Pearl Therapeutics Inc. navigate the complexities of environmental compliance, hazardous waste disposal and transportation, and to implement a safety program at their Durham facility. The program has since expanded to Pearl’s other sites. A solid safety program to support manufacturing operation and the cutting edge product development lab sent the message that Pearl was serious about doing the job right. This helped Pearl to secure a $69 million round of funding in 2010. Pearl Therapeutics is a venture capital-funded company headquartered in California, with offices in New Jersey and North Carolina. Pearl is currently conducting clinical trials for three experimental, inhaled therapies for the treatment of moderate-to-severe COPD (Chronic Obstructive Pulmonary Disease). “We wanted to ensure the safest working conditions possible to avoid injuries and fines,” says Deborah Carr, Senior Manager of MDI product development and the head of corporate safety. 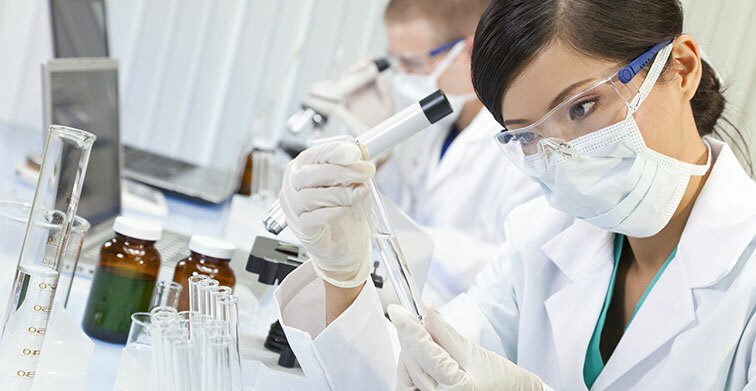 Carr is a subject matter expert in running an aerosol laboratory team supporting the development of MDI products made with highly potent and aerosolizable active pharmaceutical ingredients with particle sizes of less than 10 microns. But when she arrived at Pearl, she found that her responsibilities stretched beyond the lab. Carr was tasked with leading a safety program, monitoring proper disposal and transportation of hazardous materials, and complying with state and federal codes. Carr was familiar with NC State University agricultural extension through her care and work with horses. She hoped something similar existed for her needs in business. A Google search brought her to the College of Engineering’s Industry Expansion Solutions. Much like a cooperative extension, IES has extension specialists stationed across the state. At IES, the first point of contact with clients is through a Regional Manager. Regional Managers meet with the client to learn about their needs and then discern how IES solutions would be most beneficial. Robert Crew, a regional manager with expertise in biotechnology, met with Carr and her team, then called on Charlie Parrish, IES environmental engineering to conduct an Environmental Compliance Audit at Pearl’s facility. The audit determines whether the company meets environmental regulatory requirements such as those enforced by North Carolina Department of Environmental and Natural Resources (NCDENR). IES helps clients to prioritize and develop measures to ensure regulatory compliance. 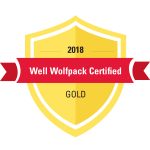 To Carr, the key was the fact that NC State provided an ‘implementable’ plan for reaching their goals of safety, compliance and being good stewards of their environment. When NCDENR reviewed Pearl’s site and documentation, found zero instances of non-compliance. In fact, NCDENR asked to take pictures of some of the programs Pearl had implemented to serve as an example to others. “The greatest value [NC State provides] is preparedness,” says Carr. Carr, along with others from the Durham facility, have participated in IES courses in hazardous waste and transportation certifications, as well. There is no doubt that IES helped Pearl to send the right message to their regulatory agencies as well as their investors and employees. “Clearly we had found the right folks,” says Carr. Carr considers IES a partner. “It’s like having a mentor, one that has our back,” she says.